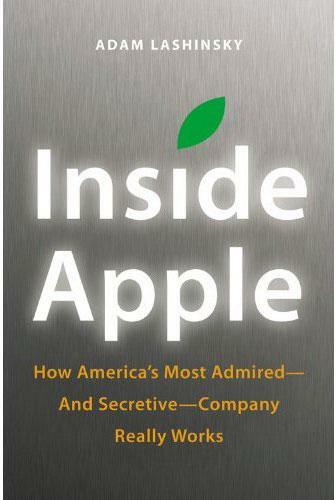 Fortune's Adam Lashinky is set to release his new book, "Inside Apple", next week. MacNN reports that the author describes Cue as a "problem solver" at Apple, first for late co-founder Steve Jobs and now for Tim Cook, the company's current chief executive. According to the book, Cue led the first talks with AT&T about the iPhone and was responsible for closing deals with record companies, movie studios and TV producers for iTunes. The executive is also credited with transforming the ailing MobileMe into iCloud and persuading Jobs to select ARM processors instead of Intel chips for the iPhone. Cue, who has spent 23 years at Apple, played a prominent role in the establishment of iBooks and the creation of iLife. He also reportedly led negotiations with News Corp to help launch the iPad-exclusive The Daily that showed off Apple's in-app subscription service. 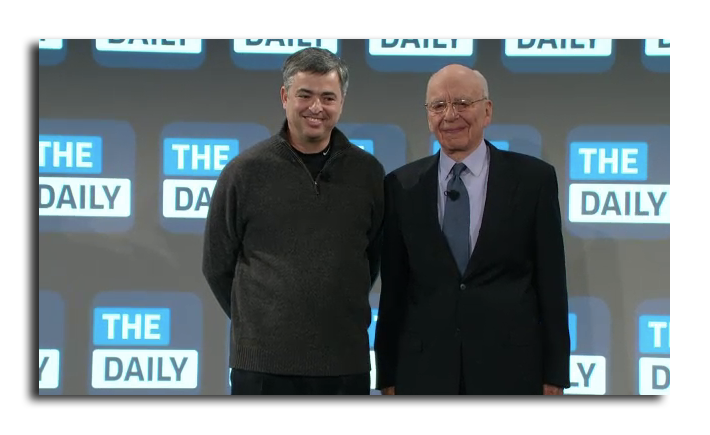 Apple's Eddy Cue, left, with News Corp.'s Rupert Murdoch jointly unveiled The Daily in February 2011. Last September, Cue's efforts were rewarded with a promotion to Senior Vice President. His duties include oversight of the iTunes Store, the App Store, iBooks, iAd and iCloud. As part of his promotion, he was awarded 100,000 restricted stock units worth more than $37 million at the time. Half of the shares will vest in 2013, while the remaining shares will vest in 2015. Cue is also reported to play a part in Apple's education event in New York City on Thursday. The Cupertino, Calif., company is ">earlier this week that Apple will release a "Garageband for e-books" tool that could "digitally destroy" the textbook publishing market. Apple Vice President of iWork Roger Rosner, who reports to Cue, has also been named as having been "closely involved" in developing a new "digital-textbook service." Cue isn't the only executive that Lashinsky profiled in his new book. Apple's senior vice president of iOS Software, Scott Forstall, was portrayed by the author as the company's "CEO-in-waiting." The book describes Forstall as "the total package" and suggests he is likely to succeed Cook. "Inside Apple: How America's Most Admired —and Secretive —Company Really Works" is available for preorder from Amazon in hardcover, Kindle and audiobook editions. The book is scheduled for release on Jan. 25.